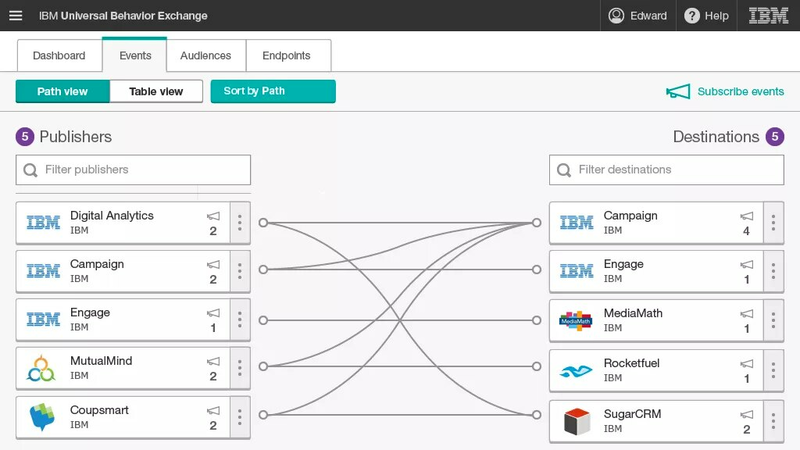 Seamlessly connect your marketing technology stack without help from IT to begin sharing customer events and audience segments across applications. Share audience segments between systems in order to activate it in various channels such as email, mobile, web, social, paid media and sales. Exchange customer behavior and identity data in context across tools, environments and organizations in real time. Use the interactive Integration Manager to connect your technology solution. This feature is for business partners who want to join the UBX ecosystem. There are no software requirements for IBM Universal Behavior Exchange. There are no hardware requirements for IBM Universal Behavior Exchange.